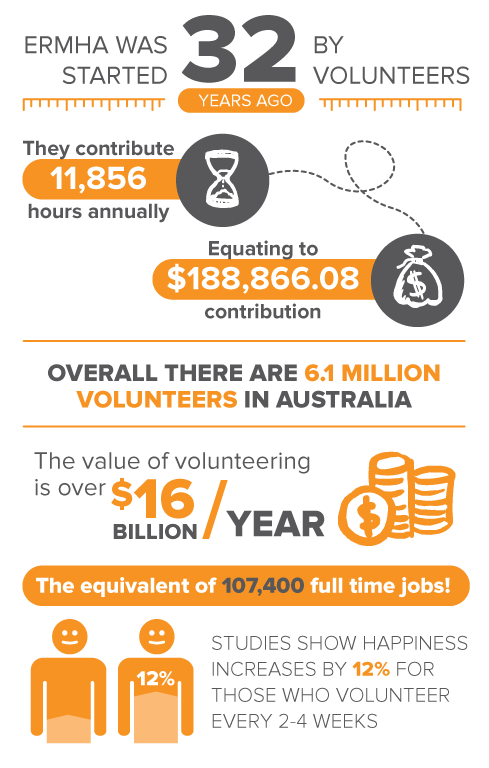 Volunteering is a great way to engage in meaningful activity and become involved in your community. Ermha was founded by volunteers over 30 years ago and volunteers continue to play a vital role in Ermha’s work..
At Ermha, volunteers are supported from day one. Following induction, training is ongoing and we teach skills that will help volunteers thrive in their roles. Ermha volunteers run the Op Shop and are increasingly involved in client support. What are some of the benefits volunteers experience? To find out more about any volunteering positions that are available at Ermha please contact Sarah Noisette, Volunteer Coordinator on 03 9706 7388.